Most people who watch home renovation shows on TV can quickly spout off the home improvement projects that bring added value in the eyes of potential buyers. The first projects most people mention: kitchen and bathroom remodels. But sometimes you just don't have the time, patience, or budget to do a full overhaul, especially if you're looking to sell in the near future. But if you don't have a new kitchen or master bathroom, don't fret. What if we told you that your home could already have the features that can ultimately increase your home's price tag? It's possible! Whether you're looking for how to increase home value in a new, cost-effective way or want to focus on upkeep and helping these spaces look their best, here are a few everyday "extras" that buyers love right now. Fences make good neighbors, but they're also a pretty good investment -- especially when you consider that homes without fences are typically priced significantly lower than their fenced-in neighbors. The style of fence matters, though: A chain-link fence is generally passed over by buyers, and some towns have even offered to pay homeowners to get rid of them. Instead, opt for natural materials like cedar, which bring privacy while adding plenty of curb appeal. 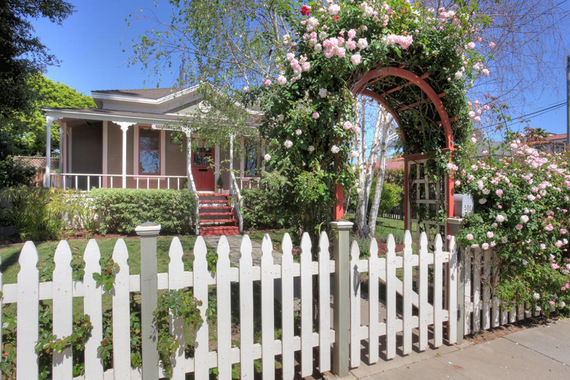 We're particularly in love with this craftsman-inspired number for sale at 502 Brinkerhoff Ave., Santa Barbara, CA 93101. Although trends come and go, the desire for stainless steel appliances seems here to stay. Quality always counts, but even homes listed in more affordable price ranges can benefit from including these in the sale -- or quickly adding them before listing the property. "If the seller were to spend about $2,000 on stainless steel appliances, their home would sell much faster, and they'd probably double what they spent," Ellis says. "Most first-time homebuyers don't have the cash to make these improvements themselves." Let's face it: We all have too much clutter, making a roomy closet a highly sought-after feature in homes for sale. This popular extra might not increase your home's sale price -- but it just might help you sell faster in a competitive market, ultimately saving you from making extra mortgage payments. "I showed a great townhome in Tribeca," says Laura Cao, a New York, NY-based associate real estate broker with Douglas Elliman. "It had everything but a master walk-in closet. Deal killer." This reaction from buyers isn't limited to New York either: Jeff Lowen, real estate agent with The Real Estate Expert Advisor, says that walk-ins or large closets "have gone from a desired amenity to an expectation these days." He suggests the addition of cedar accents or custom storage accessories like in this home for sale at 2313 Warfield Ln., Nashville, TN 37215, to make yours stand out. Cape Coral, FL: A pool here can increase your asking price by $46,130 on average, 22.5% above the average asking price. La Quinta, CA: A pool can increase your asking price by a whopping $109,250 on average, 21.1% above the average asking price. Naples, FL: Look for a bump of about $73,870 on average, 18.7% above the average asking price. Windermere, FL: Pools here can increase your asking price by $72,500 on average, 14.2% above the average asking price. Palm Harbor, FL: A pool can boost your asking price by $35,100 on average, 14.1% above the average asking price. Selling in the city? Buyers are looking for the industrial-chic look of aged brick, like in this home for sale at 10 E. 22nd St., #34, New York, NY 10010. 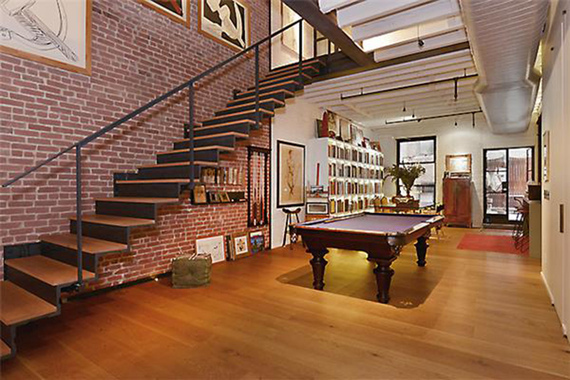 "Exposed brick is something that many buyers are gravitating towards these days," says Boris Sharapan, associate real estate broker with Douglas Elliman. "It adds a sense of character and history to the home. If this is something your home already has, or is hiding behind your Sheetrock, expose the brick! It can add to the purchase price of your home." But before you tackle tearing open drywall, be sure to check in with your co-op or condominium board -- or else you may face fines that outweigh the added value to your unit. Like exposed brick, these specialty spaces tend to be a geographic preference; they're especially popular in New England. "A good mudroom adds major value in Connecticut," says Jennifer Leahy of Douglas Elliman Connecticut, who adds that this feature is regularly considered an essential for families in the suburbs -- any suburb. 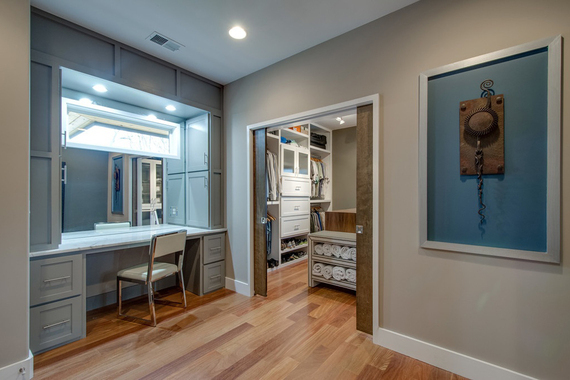 While it's great to have a dedicated mudroom, it's even more attractive for potential buyers to see a customized space with cubbies, lockers, and other clever storage solutions. Wood floors rank high on the wish list of many a homebuyer. 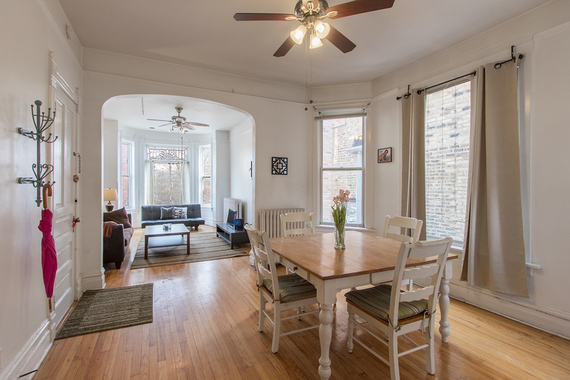 If they're the original wood floors like the ones in this home for sale at 2246 N. Racine Ave., Chicago, IL 60614, however, you may hit resale gold, for a surprising reason. "The most valuable benefit of original wood floors is the fact that any damage can be sanded out and refinished extremely easily," Merrill says. He recounts a small-scale rehab project that had majorly scuffed floors -- a problem the buyer, who was already working on an offer, had noticed. Merrill and his partners sanded the floors and added a coat of varnish. The buyer was so impressed by how beautiful the redone floors were that he made an offer over asking price (even after Merrill disclosed the DIY!). 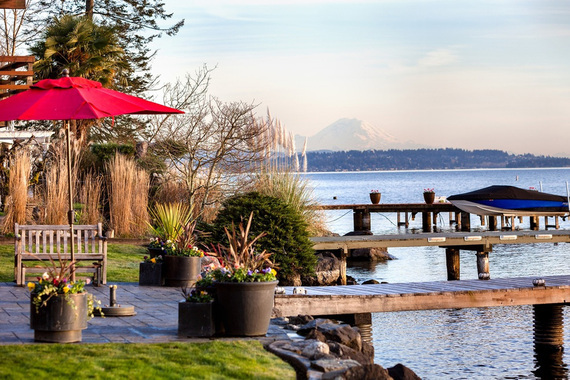 For the right buyer, a boat slip like this one at 12415 Holmes Point Dr. NE, Kirkland, WA 98034, is a must-have. "Properties with boat slips sell at a premium because most states in the U.S. regulate how many boat slips are permitted in each state," says Suzanne Hollander, a real estate professor at Florida International University, real estate lawyer, broker, commentator, and blogger. How much of a premium your boat slip can get you will depend on location, general demand, and often on the type of home you're listing, particularly on the higher end of the market. Although you might spend only a few holidays around the table in yours, the formal dining room is making a comeback -- especially with higher-end homebuyers. "In homes $400,000 and up, a formal dining room is important," says Missouri-based real estate agent Tracy Ellis of the Tracy Ellis Team with RE/MAX Edge. "They really want a formal dining room because this usually isn't their first home, and they enjoy setting their dining room tables and entertaining. They'll even tell me, 'We hardly eat in our dining room, but I still want one for entertaining and the holidays.'" Sometimes money does grow on trees. According to "Green Cities: Good Health," a study by the University of Washington College of the Environment, a mature tree in a yard added 2% to a home's price, while mature trees visible in high-income neighborhoods add 10% to 15% to property values -- especially when they help shade your street. 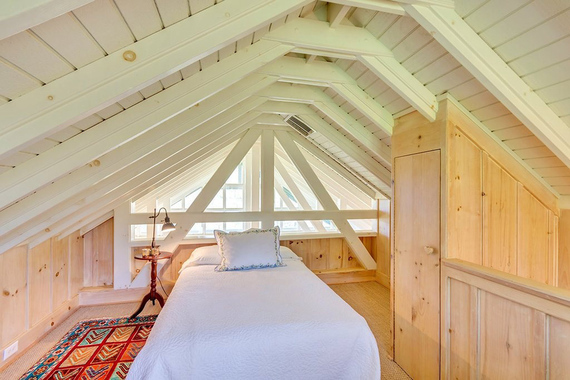 Even though you might have considered your attic or basement bedroom a quirky feature, many potential buyers think an attic bedroom like this one at 545 Ivy Farm Dr., Charlottesville, VA 22901 is a great use of a commonly overlooked area of the home. The estimated resale value of this feature was a jaw-dropping $41,656. Maybe it's time to take that space seriously! Just be sure to take permitting seriously as well. A nonconforming bedroom can hurt more than it helps when it comes time to sell. While it might not be as fun as, say, a custom closet, a sprinkler system, high-end programmable thermostat, or other green-tech extra can still be attractive features for your home's next owner. It's all thanks to the general movement toward increasing energy efficiency. A survey by the National Association of Home Builders found that homebuyers would spend at least $7,000 more on a home if it included technology and upgrades that could help save them $1,000 a year in annual utility costs. This article was written by Trulia from Huffington Post and was legally licensed through the NewsCred publisher network. Please direct all licensing questions to legal@newscred.com.